There are many risks to personal and cardholder data. However, the GDPR and PCI DSS provide a clear roadmap on how organizations can most effectively protect that data. In order to develop and maintain an effective data security strategy, these regulations should not be seen as just a burden, but rather as a standard to strive for. 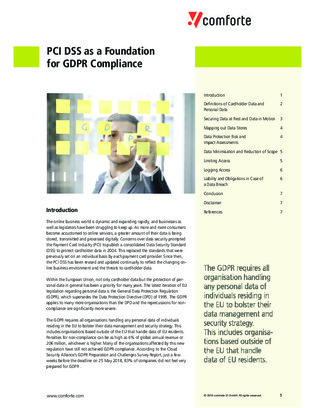 In this white paper, learn how to take advantage of the overlap between GDPR and PCI DSS to improve your overall data security strategy.